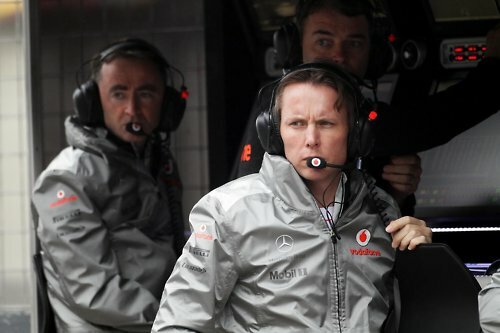 Fresh McLaren Sporting Director Sam Michael gives full support from the team to struggled Jenson Button. And he quoted Button is still very much in the title hunt. 2012 Formula 1 opening race winner Jenson Button has now under pressure with his inconsistent qualifying pace and pointless race finish. The Brit currently eighth on the drivers’ championship and 43 points behind his team-mate and top man Lewis Hamilton. 2009 world champion now hardly try to make improve in upcoming race especially in qualifying. “One of the things you realise from working with Jenson is that he copes with pressure very well and he doesn’t show it,” he told Sky Sports News. “He has a very good poker face and, even under the current situation where he feels under pressure, he doesn’t let that show. That’s how he’s always been – he’s been like that whether he’s winning or whether he’s struggling. “At the moment, I think he’s playing on that and I think it’s a very useful characteristic to have in someone. It’s one of his strengths and he’s got a lot of confidence in his ability – he’s not a World Champion for nothing. He’s still very much in the title hunt and he knows that. He doesn’t require a more precise set-up than Lewis,” he added. “This Championship is going to be won on consistency and it’s easily possible that the World Champion will only have one or two race wins,” Michael said. All material and photos are copyrighted material and owned by their respective owners. Use or depiction of images or trademarks throughout this website is for illustrative and editorial purposes only.Images come courtesy of; ferrari.com, mclaren.com, Sahara forceindiaf1.com, redbull.com, mercedesgp.com, Caterham F1, toyota, Sauber, williamsf1, lotus, Marussia, HRT, getty Images,LAT, Reuters Pictures and AP Photos.